It is a challenging, humbling and risky endeavor to proclaim the good news of God's love made known in Jesus Christ. And yet, week after week, faithful women and men offer a word of hope to a world in need. For more than 20 years now, the Florida Institute of Preaching has helped pastors in the Florida Annual Conference develop their capacity to share the Gospel. Working together with Duke Divinity School, the Institute brings together a small group of pastors each year to help them nurture and develop their gift of preaching. This year, the Institute will start with a Congregational Training Day from 1:30 to 5 p.m. Saturday, Aug. 9, at Hyde Park UMC, Tampa. Retreats are scheduled Sept. 8-11, 2014, at Rizzo Center in Chapel Hill, N.C.; Jan. 26-28, 2015, at Bethany Center in Tampa; and April 13-15, 2015, at Epworth By The Sea in St. Simons Island, Ga.
Click here to apply by May 31. The Institute is designed to help already capable preachers who are open to personal development through dialogue and reflection with their peers. For that reason, the Institute is open to all full-time elders and local pastors in the Florida Conference who do not anticipate a change in appointment in the coming year. Associate pastors who intend to become pastors in charge in the near future may also apply. The Institute has also invited pastors from the Western North Carolina Conference to participate to provide a shared experience and new relationships between the Western North Carolina and Florida conferences. Through funding from their own conference, six WNC pastors will participate in the retreats, thereby improving preaching and building connections across the Southeastern Jurisdiction. “I love the privilege of preaching. Working with a biblical text and preparing to break it open with a group gathered for worship continues to be a place I am grateful to stand. - Clarke Campbell-Evans is the Missional Engagement director for the Florida Conference, a former district superintendent and former church pastor. 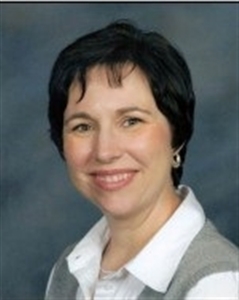 - Lisa Degrenia is pastor of Community UMC, DeBary, Fla., and former pastor of churches in Pinellas County. If you are interested in applying this year for the Institute, additional information is provided at the links below. If you have any questions, contact Rev. 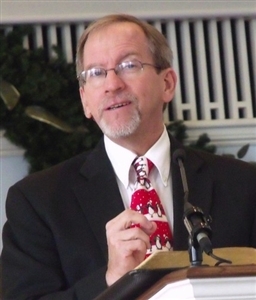 Wayne Wiatt (wwiatt@flumc.org) or Rev. Rwth Fuquay (rwth.fuquay@flumc.org) in the Office of Clergy Excellence.